The self-review phase includes inquiry, data analysis, and self-reflection, which culminate in a self-study document that summarizes key findings and insights. This phase is faculty-led and should involve the entire program faculty, as well as invite input from other stakeholders such as students, alumni, administration, etc. Review teams are generally comprised of two external and one internal reviewer (from a different college than that of the program under review) and nominations are submitted to the dean’s office via the reviewer nomination form. It is the Dean’s responsibility to determine the final make-up of the review team. Once reviewers are identified, formal invitations are sent to the selected reviewers either by the college or department. The college is responsible for the payment of all expenses associated with the site visit, including reviewer travel and honoraria. External reviewers are typically paid $1000. 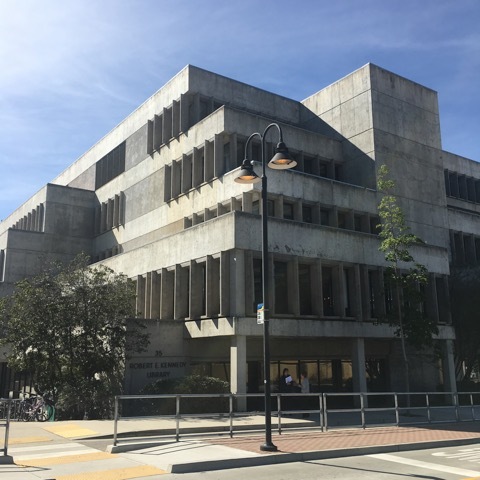 Although serving as an internal reviewer is considered university service for Cal Poly faculty members, a modest stipend of $500 is recommended for internal reviewers. Development of the self-study typically occurs over the course of one academic year with the peer review/site visit occurring the following year. In addition to the standard self-study topics, programs also address the current university theme (diversity and inclusion), CSU theme (Graduation Initiative 2025), and an optional program selected theme. More information on these themes can be found in Section VI of the self-study template. Selecting Dates: The site visit generally occurs over two-days. Early in the self-study process, the department should coordinate with the dean’s office and the office of academic programs and planning to select dates for the site visit. The department will ensure reviewer availability on the selected dates. Logistics: Coordination of logistics for the site visit, including any travel or lodging arrangements, scheduling meetings, reserving rooms, etc. is the responsibility of the department. One notable exception is the coordination of the required entrance and exit meetings, which are scheduled in collaboration with the office of academic programs and planning. Departments should submit a draft itinerary to the associate dean and the office of academic programs and planning for input prior to sending the finalized itinerary to the review team. A sample site visit itinerary has been developed to assist with planning. Review Team Communication: Approximately one month prior to the site visit, the office of academic programs and planning will send reviewers an official welcome email, which will include a copy of the self-study and guiding questions for the team. Following the receipt of the finalized reviewer report, departments will develop a strategic action plan that is guided by reviewer recommendations as well as insights gained from completion of the self-study. Once developed, the draft action plan is shared with the dean, associate dean and the office of academic programs and planning. An action plan template has been created to support this phase of program review. Upon completion of the action plan, the department will work with the office of academic programs and planning to schedule an action plan meeting for the purpose of openly discussing proposed goals, action steps, timeframes, and potential resources required to achieve desired results. This meeting is often held during a regularly scheduled department meeting, as it includes program faculty and staff, the Dean and Associate dean, the Senior Vice Provost, and other representatives from the office of academic programs and planning. Following the action plan meeting, the department will incorporate additions or revisions to their plan based on the larger group discussion. Once finalized, a copy of the plan will be kept on file in the office of academic programs and planning. Departments will update their strategic action plans on an annual basis.